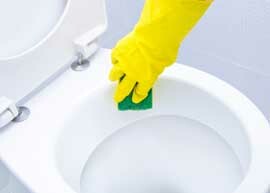 At MSCH Janitorial Service we strive to provide the best commercial cleaning service in the Chicago and suburbs area. MSCH commercial cleaning department takes pride on enhancing your business by giving you a professional cleaning service that will save you time and money. Having an effective janitorial service for your business will reduce employee sick days while increasing employee efficiency. It is imperative that an office environment is regularly cleaned and maintained. Injuries and illnesses often occur in commercial establishments due to a lack of proper housekeeping. Let us help you reduce allergic reactions to dust and mold, prevent common viruses, and limit your risk of customer injury. A wide range of commercial cleaning services are offered for small and medium sized companies. We customize your professional cleaning package according to your needs and budget. Let MSCH Janitorial Service be the answer to all your janitorial needs! Your employees and customers deserve clean, sanitized restrooms. Your restroom is as much a part of your company as your conference room, sales area or dining room. MSCH Janitorial Service is dedicated to helping businesses just like yours maximize return business and efficient restroom cleaning can help! Restroom cleaning services from MSCH can help you ensure that your restrooms are immaculate, your customers are happy and your employees can focus on the jobs they were hired for. The result is a sanitized restroom that looks and smells clean — because it is clean! At MSCH JAnitorial Service maintaining the cleanliness of your restaurant is of the utmost importance. Customers spend time in your restaurant every day, and the consequences of having a less than exceptionally clean restaurant will be immediately felt. What’s more, strict health code standards regarding cleanliness must be upheld, or the restaurant could face fines or even have to close its doors. The demands on industrial and manufacturing companies to maximize output and minimize down time are greater that ever. Maintenance will always be necessary and we have solutions for many of the difficult cleaning needs required by industry. With our equipment and expertise we can safely and effectively keep your business up and running. We are capable of cleaning industrial and manufacturing equipment. If you have a specific need call us and we will work out a solution. Ride-on scrubbing machines are very effective in cleaning large expanses of concrete in a short period of time. The Cleaning and Automotive Industries are similar in many ways. They both rely on creating a good first impression for the customer as that is the lasting impression that they will have. It all begins with the quality of our associates that form and deliver that high quality of customer service.Our cleaning team is armed with extensive training and experience in all facets of dealership cleaning, which includes the service bays, windows, showrooms, customer wait areas and providing specialized floor care. All of which is designed to provide a positive first impression not only for the first time customer, but also for your employees to help form a positive work environment. 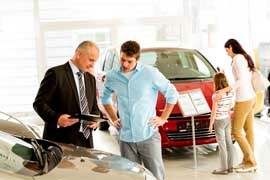 Most dealerships focus or depend on walk-in traffic as their major source for new, used and lease vehicle sales. We fix Commercial upright and backpack vacuums. Commercial vacuums are more durable then residential vacuums and are designed for daily use. Commercial vacuum cleaners go thru a lot a wear and tear and periodically will need repair or belt replacement. We fix brands like Sanitaire, Bissel , VacTeam , Mosquito. For vacuum repairs stop by or call us today! all cleaning related non-contract services. Below is the price chart for information only, this is not actual prices and please be aware that every each location/situation is different, so are prices, we have to see the actual location do give you exact price. Commercial cleaning service, we are charging $0.05 – 0.12 per square feet for regular office cleaning if often then 2 times a week, but we are working on every costumer individually, so the prices are all different. Carpet shampoo / extract service for commercial locations, we are charging $0.08 – 0.25 per square feet for 1,000 square foot or less, if the area is bigger, the price will go down per occur, however our minimum cost per scheduled work is $125.00. Striping and refinish tile floors as well, we are charge $0.12 – 0.27 per square feet if less then 1,000 square feet, then if its bigger, the price will go down.